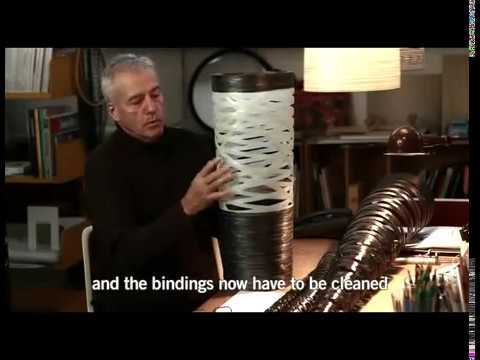 The industrial designer Marc Sadler developed this unmistakable Tress lamp out of material compilations based on fibreglass. 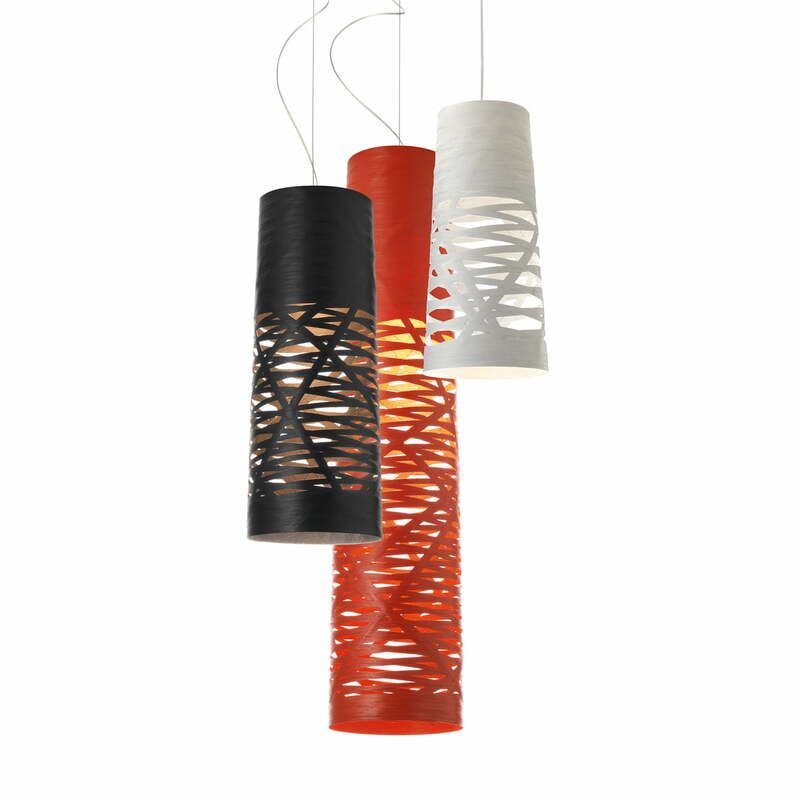 It spreads its light through the conical silhouette in an interplay of light and shadows. The semi-diffuse light spread emerges by means of the loose intertwining of the middle of the lampshade. This one is made of braided, thin bands, which result in a slightly conical shape. The upper part is wide and thick, the middle part is an organized chaos, which spreads the light through the smaller and bigger holes. The halogen bilb is in the upper part of the shade, which is why glaring light is avoided. The complied material is made of lacquered fibreglass. This is how the shade is stable and less sensitive. The used material for the support and the hanger is also lacquered and therewith easy to be cleaned, if needed. The sculptural pendant lamp is part of a whole Tress collection, which is why the floor lamp and the imposing pendant lamp with a bigger diameter are also available. Single image of the Tress Mini pendant lamp by Foscarini in white. 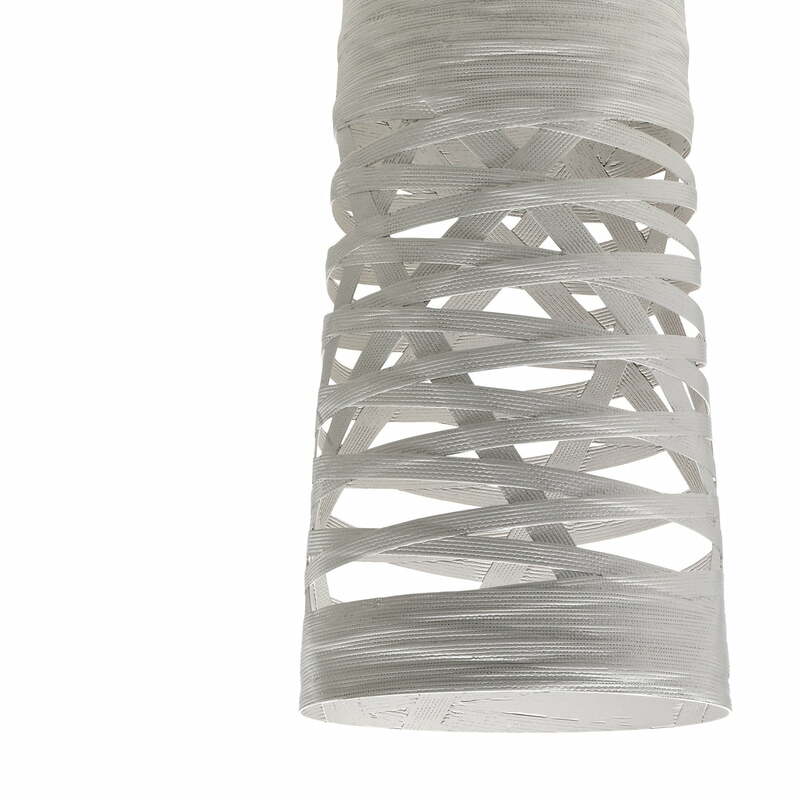 The loose braids of fibreglass result in a stable and slim lampshade with its lacquer.